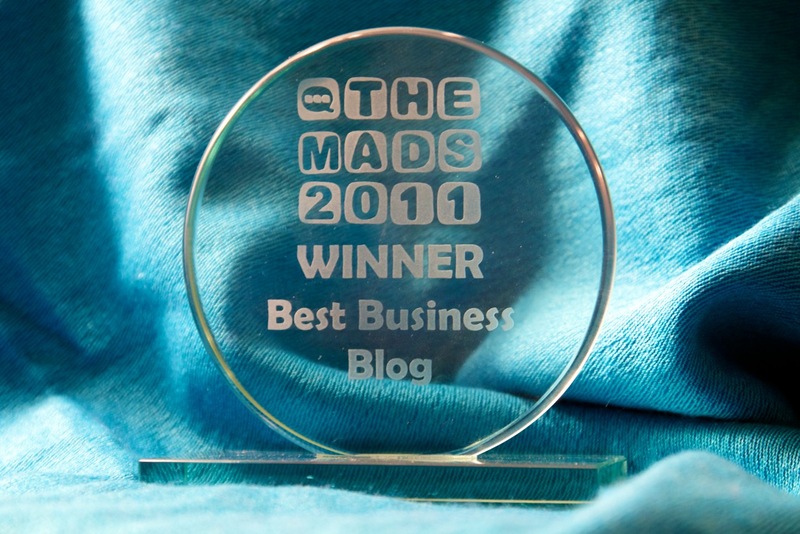 OMG Huge Thankyou’s for the MAD Blog Awards and a few less tears! I have HUGE thank you’s for you guys, because you put fingers on the keys and voted for me for the MAD Blog awards ‘Small business category’, and even better I actually WON!!!! I’ve got to write this post, because my acceptance speech consisted of slightly muffled ‘sob’ … ‘thank you’ .. ‘sob’ .. ‘OMG’ .. ‘lip wobble’ …. ‘this is so important to me’ …. yep, I did one of those ‘oscars speeches’, nothing like the planned face I’d videoed! I’m very much hoping that the organiser Sally Whittle (better known as ‘overlord‘) does not publish the real video acceptance speach! First some stats, because I’m a bit of a geek and love a stat. Plus some people (like the guy who commented on my FB page) might think ‘hmmpf a few mummy bloggers, whats that all about?’. Mummy (and Daddy) blogs are the new must have thing for PR companies to use to review/advertise their products. We are a little behind the USA, but it’s becoming a real phenomenon. People tend to read/write them to share experiences of being a parent, review products, and be a lot more interesting that the news (they are also not all about being a parent, there are tonnes of subjects covered). So, the thank you’s …. Thank you so much for taking the time to vote: I still get tears in my eyes when I look at the award or tell people about it. All the awards before hand seemed to be going to ‘big name’ blogs, so I had totally assumed that I had no chance, and was jokingly hiding at the back with the rest of the Small Business Nominees who had a really good ability to down glasses of wine. Thank you to my family, clients, and friends for inspiring the ideas for the blogs: I love to write and you are a constant source of ideas (I have over 100 draft posts!). Thank you to TK Maxx for my gorgeous princess dress (official photos to follow later in the week) plus photos of the other girls who I thought looked lovely. Thank you to Katie from K and S Jewels who leant me the beautiful Stella and Dot jewellery that sparkled on my ears, neck, fluffy coat and wrist. (official photos to follow). Thank you to Sally and the team for organising a fab night out; which involved a lot of extremely excited Mummy Bloggers (and 3 daddy bloggers, as unusually there were very few nominations for Dads this year), great music, loads of applause, lots of music, and the amazing Bangs And A Bun who managed to keep us all in order and be the main presenter of the night. Thank you to Little Dimples who had to come with me on the night, and stunningly slept all the way through the awards. When she gave me this hug, it so felt like she knew what had been going on and that I had won (thank you to whoever took the photo too; Lindy I assume it was you?). Thank you to the lovely Betty (irish granny I found in Tescoes) who looked after Little Dimples upstairs so I could have a little freedom (I’ve promised lots of Mums at the blog to tell you the story behind my discovery of Betty), who burst into floods of tears when she found out I had won, and who appears to be my lucky mascot when it comes to getting on a train with 1 minute to spare. Thank you to the other Small Business guys for not booing or tripping me up as we had previously discussed when we assumed that Baby budgeting was bound to win (Little Stuff, All about the boys, Queen of Easy Green); only joking Becky, thank you for all your advice, I’m so going for the Kindle publishing now and not worrying about other options! Thank you for all the lovely chats with the mummy bloggers that I’d always wanted to meet in person: Violet Posy (Liz Grayson who designed and moved my blog to self-hosted), RedTedArt (my fave crafting blog, who was thoroughly lovely in person), Carol (for all her tips), Liska from New mum online, Marylin from softhistle and a tonne more! What to tell your kids about Advertising? Oh! You’ve gone and made me all weepy again! I thought your acceptance “speech” was lovely! It was a very Sally Fields moment! Oops forgot to add… I’m glad you like the photo! Ahhh thank you Lindy, both for the photo and for not thinking I’m daft! Well done you most thoroughly deserved. You looked goreous too and your daughter was beautiful, A lovely night and well done you x Remenber to let us all know about that book! I was so happy with your win, your blog and concept is amazing and I think pretty unique. I am looking forward to reading back, and putting some of your ideas into practice. LoL – yep I have been thinking of the same photo with my sparkling shoes! It was lovely to meet you! Aaaah well deserved!! And Congratulations again!!! ANd what a lovely photo of you and Dimples! Adorable. Was LOVELY to meet you *finally* 🙂 !!!! And WHAT I missed Violet Posey?? Oh no! Would have loved to have said hi! I know, I still found out afterwards that I’d missed someone! But at least I met you atlast! It was a delight and a pleasure meeting you and your gorgeous Little Dimples. I cried when she gave you that hug. You were the best dressed lady there. Ah thank you lovely – it was like she knew I’d won wasn’t it! I’ll treasure that photo.